Hello everyone and happy Saturday! 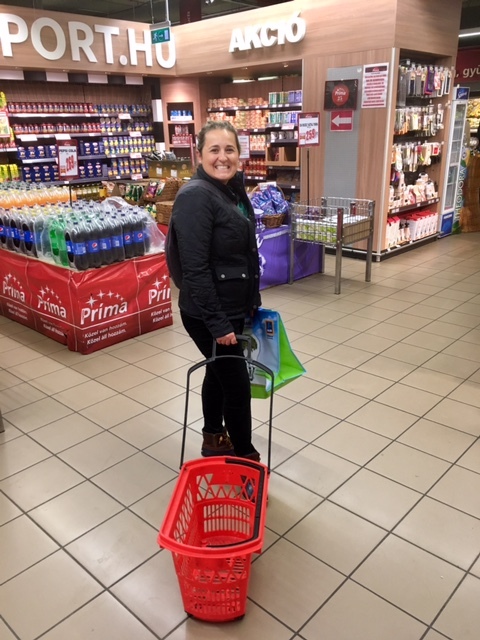 I wanted to write a post on my adventures with grocery shopping here in Budapest. I would say that out of everything so far, this is the only thing that will require some adapting for me, but worth the change for a healthier lifestyle. These are just a few fun facts and of course, so many more. The biggest challenge for me is not finding the items I would typically buy at home. For example, italian (salad) dressing is a favorite ingredient for a recipe I make back home. Well I have looked at every store and cannot find italian dressing! Instead, you learn to use different flavors or just make the dressing with real fresh ingredients. Makes a shopping list quite fun for me right now! I had a few frustrating moments recently while shopping for Neil and I, but with a little patience and creativity, you learn to figure it out. I hope you enjoyed my shopping update…more to come about my life abroad. Love your blog, Especially the picture of you Ashley.